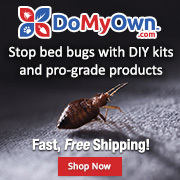 If you are a bed bug professional (entomologist, pest control operator, other product or service provider), please post a brief introduction below. Please do include information about your training, location, real name, name of company, experience, licensing (if applicable). Don't be shy! You may include links to specific informational articles you have written, so that you can refer people back to this bio. However, please don't link again to your main website if it's linked from your username. Please don't include phone numbers or email addresses. Warning to pros: this thread is intended for pros/experts who have been active members of the site for 6 months or more and have reached "junior member" status or higher (those guidelines may be changed at any time). It is not an invitation to promote your business. Posts from newer members or sales pitches will be deleted. Warning to users: we cannot verify that people are who they say they are or have the experience, knowledge or credentials they claim. In most cases, people have become known as experts here over time, based on the wisdom they impart. To that extent, reading someone's posts here should give you a good sense of their knowledge. Everyone, please let me know in an email if this works or if anything here should be changed. Thanks! Finally, the non-experts, like me, are listed in this thread. Longtime Bedbuggers, please go here and post your brief bio and success story link! Looks like I'll be the first to post here, my name is David James and I have been in the pest control industry my whole life. I invented/manufacture/sell the Packtite, Packtite Closet, Bed Bug Beacon, Bed Bug Blue, and Thermaspot. I am the president of Nuvenco, Inc., the company the manufactures and sells the above products. I have been active on this forum for at least a few years now and am still searching for whoever charged multiple lunches to me at a bed bug meeting in Chicago a few years ago. Training: BSc (Hon) Plant Molecular Biology - Nottingham University, PgCert (MSc by research) Plant Molecular Biology Leicester University, BPCA level 2 in pest control and various industrial and professional training courses. In 2003 I left my previous career in molecular biology and investment analysis to seek new challenges and quickly replaces an obsession with DNA technologies with an obsession with bedbugs having first encountered them as part of my first job as a pest controller. I quickly became fascinated with this pest which seemed to be 100 years out of its context and certainly something more associated with Victorian Britain than the new millennium. In the years that followed I watched the problem grow from a comparative rarity to a time when I was conducting 7 - 8 treatments per day for a London authority. In 2005 my quest for knowledge made me realize that now only were there no images of bedbugs on websites in Europe there was no-one dedicating themselves to this problem from a field observation perspective. To remedy this I started Bed Bugs Limited the world's first dedicated bedbug exterminators since Tiffin & Sons (1650 - 1940's). In 2008 we had collected enough field data to start to develop the prototypes of the Passive Monitor which I have now been granted patent protection for in various countries around the world. 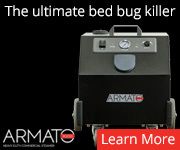 The goal was to bring the fight against bedbugs forward to a fight that could more easily be won. 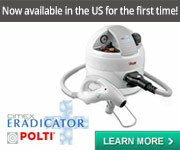 It is now available in 106 countries and under several brands including the PackTite Passive Monitor. In 2009 I wrote the first consumer's guide to bedbugs since 1945 called Bed Bug Beware - an easy to understand guide to bedbugs, their prevention and control. This common sense guide is aimed at providing a foundation of knowledge for those who wish to understand the problem from a biological and behavioural perspective and under pins our mission to make public education as available as possible. Once publish the project has continued to develop as a website ensuring that all the new information is publicly available. As well as running a busy team of bedbug specialists conducting treatment in domestic and commercial settings I travel extensively throughout the world attending bedbug events, reviewing new technologies and designing bespoke solutions for organisations. I am committed to optimising green technologies with the aim of shifting from a reliance on inefficient chemical based strategies and even our heavier cases are now tackled using green approaches which we have had a major influence in developing. I am happy to help people where I can although I only answer questions via the public forum to ensure that others can benefit from the information shared either at the time or via the archive of the forum. Paul Bello was born in a log cabin that he helped his father build. Some years later he met his mom. On summer afternoons she'd take him on long drives in the country but he always found his way back home by morning. 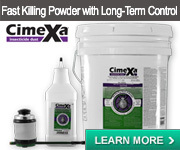 > Has been a licensed certified applicator since 1976. > Owned and operated a pest control firm for ten years. > Served as technical director for large and international pest management firms. > Currently engaged as an urban & industrial entomologist/pest management consultant. > Clients include global basic manufacturers, property management firms, hospitality companies, healthcare locations, health departments, pest management firms, colleges, equipment manufacturers, product distributors, zoos, museums and others. > Author of The Bed Bug Combat Manual (published October 2011). > Author of The Cockroach Combat Manual (to be published October 2013). 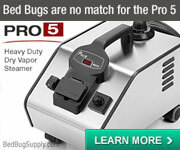 > Author of numerous pest management industry trade magazine articles. Hope this helps ! paul b. Under the meticulous training of Mr Cain ( and trust me when it comes to working in the field the man is OCD about treatment, that rubs off quickly which leads to positive results ) I have become almost obsessive as Himself ! I regularly screen buildings within the hospitality sector for bedbugs and, install monitoring systems on behalf of bed Bugs LTD. I was drawn into the obsessive world of bed bugs by David approximately 5 years ago and, the love hate relationship with them began! I started out on the post treatment side doing chemical removals and of course removing all dead BB’s. A few years ago, I was working for an old boy in his nineties who asked me if I was some kind of undertaker for bed bugs then. Hence the name. There have been many times I have been paid to act as a host to BB’s by sleeping with them. They are the only creatures I have ever accepted money from to sleep with! I also work as a technician for David’s company, Bed Bugs LTD. I have worked alongside David on many extreme cases where more than one pair of hands is needed to get things under control quickly. I also work solo too. I work on both chemical treatments and green treatment. Much prefer the green approach personally. I drop by here from time to time and comment now and again. Thank you NOBOM for this opportunity to provide some context about myself. My name is Ken Hando. I am the owner /operator of Bed Bug Mutts, an independent canine-assisted bed bug inspection service established in January 2011. I take a common sense, non-threatening approach to Early Bed Bug Detection (EBBD). I explain bed bug biology and behaviour to my clients, so that it’s clear “what to do” and often more important, “what not to do”. 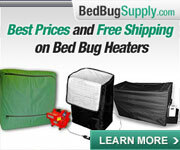 I firmly believe that education is the most powerful tool to gain control of bed bug problems. It’s why my company policy is, ”Spread the word, not the bed bug”. Located in Canada, I provide canine-assisted inspections in British Columbia, centred 40 km (26 mi) east of Vancouver in Maple Ridge. 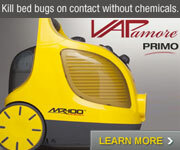 I also provide on-line sales within Canada of several vetted bed bug tools. I would also like to ‘shout out’ a thank you to this site and poster Bugalina (2007) for coining and promoting the phrase “spread the word, not the bug”. It has been the cornerstone of my business. Good to meet you guys. Thanks for your introductions. Keep it up. I am removing this from the green stickies because it is covered in the FAQS About the Forums (How to use the forums), itself a green sticky. Fewer stickies makes it easier for people to find information. People are more likely to see and read a few stickies (and thus find more) if there are not so many. Also, for stickies that get updated, updates are more likely to be seen if they are in "Latest Discussions". I am tagging this thread “former stickies”, so you can find it again easily. You should also subscribe to this or other threads you want to follow. You can do this at the top of any thread. And since no pro/expert forum regulars have added themselves in 9 months, please do so if you are a regular around here. Are any of these experts still around? Yes, and there are others who never introduced themselves here. If you have questions or want feedback, please start a new thread. Louis N. Sorkin, B.C.E. (Board Certified Entomologist in the specialty of Urban and Industrial Entomology); Entomologist, Arachnologist with scientific memberships in many world-wide scientific organizations including the Entomological Society of America, American Arachnological Society, American Association of Forensic Sciences, North American Forensic Entomology Association, National Pest Management Association, New York Pest Management Association, National Pediculosis Association, Pest Management Working Group (museums). I've been associated with The New York Entomological Society since 1978 and organize the monthly meetings. These are open to the public. I'm interested in insect, arachnid and myriapod systematics and taxonomy, macrophotography, videography, entomophagy, bed bug taxonomy, biology and behavior, host feeding reactions. Maintain living spiders, scorpions, vinegaroons, beetles, caterpillars of various species for educational use in classes. I also maintain several thousand bed bugs. [I am the sole provider for the latter insect species ;)] and supply bed bugs for researchers and canine detection companies. Yes, married since 1983, but my wife doesn't share my interest in feeding bed bugs in case you're wondering. Even as a child was interested in animals including small, non-furry ones. Began career after graduate school (Univ of CT) in 1978 at the American Museum of Natural History, Department of Entomology. Actually was in pre-med but after taking a field entomology course and viewed insects and spiders under a microscope, became intrigued with arthropod morphology. I study spider systematics and taxonomy plus medically important arthropods including bed bugs. Became interested in bed bugs because early on in the late 1970s and early 80s, there was so much misinformation being provided to the general public. I help teach museum classes in insects and other arthropods and use of insects as food for the Education department. Operate consulting firm called Entsult Associates, Inc. where I consult in investigations involving insects or arachnids or other arthropods. Venues include forensic investigations, pest management issues, insects as food and also use in organic waste conversion. Licensed as pesticide applicator in New York State since 1985. One of only very few Pest Management Professionals (PMPs and consultant) who is versed in both insect and arachnid systematics, biology and taxonomy. Clients include property management firms, hospitality companies, healthcare facilities, health departments, pest management companies, schools, medical practices, attorneys, import/export companies, surveyors and cargo underwriters, diagnostic labs, insurance agencies, pest management product manufacturers and distributors, zoos, museums, police departments, medical examiners, canine detection companies, homeowners, authors, publishers, television shows, movie producers and directors. Teach recertification classes to pest management professionals, forensic entomology classes to forensic examiners and homicide detectives, medical entomology classes to physicians and other health professionals, and specifically tailored classes in pest identification and management to other professional organizations and management agencies. I've appeared in many domestic and foreign TV, radio, other online media and print media interviews on many subjects involving insects and arachnids as these relate to general knowledge, behavior, medical entomology, entomophagy, forensic entomology, etc. I've published and co-authored numerous papers on insects and arachnids. Been involved with Bedbugger for many years. My name is Bill Kaufman, I do maintenance for a homeless shelter in the Tampa/St. Pete region of Florida. Prior to this job the bed bug existed only in nursery rhyme form for me. I came on five years ago as an HVAC tech and have since taught myself locksmithing, appliance repair and bed bug eradication. Under the guidance of several local PCOs I've assisted on treatments for the past four years and just recently brought the program in house due to the ever increasing cost of bed bug treatments. This site and its pros were a large part of me being able to make that leap to doing my own treatments, the support here and the free flow of information amazes me every day. Five years ago when I started working for the shelter we were using two small Packtites with broken zippers and no thermometers, over-stuffing them and only treating clothing for two hours. I was able to copy David James' idea and construct a heat chamber the size of a twin bed, able to process every piece of clothing coming into our shelter. It has been running every day for over four years now and has helped drop our infestations at our most vulnerable point. The first stage of our program is dormitory style housing for those straight off the street or from other shelters, normally the point of the vast majority of our infestations. We have all stages of housing here, from emergency family efficiency apartments to transitional housing, to long term family apartments as well as several levels of housing for veterans, also ranging from short to permanent housing. All residents have access to the bin where clothing is placed for treatment and may have new items treated with a one-day turn around, sometimes same day service. Currently I treat infestations with a steamer, process all of the bedding and clothing through the heat chamber and follow up as needed, and from time to time use a desiccant on persistent cases. I hope to convert a walk-in freezer to a heat chamber so we will be able to treat more clothing in one six hour cycle, as well as furniture items. Thanks for the intro, Big Dummy! My name is F. Pazos, and I am a professional PCO working in Hong Kong. 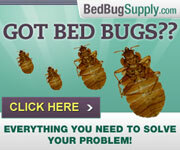 I have over 10 years experience working with Bed Bugs (and the last many of them is exclusively Bed Bugs). Currently we use several different treatments depending on levels of infestation and possibilities of the different homes. This includes but not only, heat treatments, steam, Liquid Nitrogen "spraying" (we have followed handling courses to use it), we apply amorphous silica gel dust (cimexa is not available were we are) and we also assist in the development of it to bed bugs fight. The properties that we treat are both commercial and private. Being Hong Kong one of the most densely populated places on earth, most of our private property treatments are in High Rise buildings and extremely cluttered homes, so we had to create our own heating system for the heat treatments, and implement our own procedures, so far, our best results are by Heat Treatment combined with silica application and one follow up with the silica (usually only for the peace of mind of the customers). I will offer bed bugs Id's, and advice in matters that I think that by experience I can give the right answers and sometimes DIY advice. So, nice to see you all around. Is there any way to upload images? I found quite a few small whitish bugs on my curtains. Couple weeks ago I found two of the same looking bugs in my carpet along the border. Everything online is not very helpful as nothing seems to focus on nymphs. And if so it's only magnetized or microscopic images. I took the best possible image of this lil bugger and need help identifying if this is a bed bug nymph. I found a bunch of them on my white curtains. Some were smaller but for the most part they all were the same size. My name is Charlie Clemens and the only thing more difficult than telling a client they have bed bugs is telling them they don’t. We charge for inspections and, since 2014, we treat bed bugs exclusively in the Washington, D.C. market. Selfishly, we’ve been sending clients to this site for years and haven’t contributed. My experience is dwarfed by some on this panel- one member actually developed some of the technology we utilize today. We’re used when needed for US Government and quasi-government facilities, but we mainly treat residential bed bug infests. We Guarantee our work and I wish I could say I’m a big deal. I’m not. In fact, I wasn’t very good at first. With every “shortcut” I thought I found, I always ended up going back to fix it. Today, after almost 1,000 homes, we’ve expanded beyond the DC Beltway with a second location. It takes time and physical labor to properly source and fully eradicate a bed bug infest- on the first visit. The Most Important Thing You Can Do Is Take A Picture! Take a clear, focused, detailed picture of the bug or evidence you’re seeing! (2) we’ll be checking your pictures at least twice a week here. Note from Bedbugger.com: please do not post bug ID requests in this thread. Start a new one. If you do not know how to start a new thread, this should help.